Wellington metal masters Beastwars are well and truly back, with a brand new album titled IV coming our way and a senses-shattering release tour tearing across Aotearoa this June and July. The group's upsurge in activity follows a health-related three year hiatus, during which vocalist Matt Hyde underwent over six months of treatment for Non-Hodgkin Lymphoma in 2016. Thankfully he is now in remission, with the new record drawing inspiration from Hyde's experiences confronting his life-threatening illness. Beastwars will be supported in Auckland and Wellington by Australian doom metal maniacs Witchskull, and have also unleashed their new record's powerful lead single 'Omens', delivering a majestic dose of the band's bone-crushing heaviness you can experience below. Matt Hyde explains, "Throughout the treatment - I was numb - and it's interesting to have the ability to confront that, to confront the void, to confront the idea of mortality. I didn't make peace with it either... I was lucky that I had music to express what had happened to me - a lot of people don't have that. I was very lucky that we could make a record. I took the time to process it and turned it into something else." 'IV' is out Friday 28th June via Destroy Records – preorders are available now. "The fear of death is enough to make you want to live." New Zealand's legendary Stoner Metal band Beastwars are returning to the world with a new lease on life, literally. Vocalist Matt Hyde underwent over 6 months of treatment for Non-Hodgkin Lymphoma in 2016, he is now in remission. They are today announcing their new album "IV" which was shaped by Hyde’s recent experiences. It will be released on Friday June 28 through Destroy Records. Merch bundles can be pre-ordered now at http://www.beastwars.bigcartel.com. Along with the announcement of the new album, the band have come roaring back from a three year hiatus with new single "Omens". Vocalist Matt Hyde said that through his diagnosis and subsequent treatment, he was given an opportunity to look into the abyss beyond life as we know it. "Throughout the treatment - I was numb - and it's interesting to have the ability to confront that, to confront the void, to confront the idea of mortality. I didn't make peace with it either." That experience - the loneliness and isolation of the long treatment time - gave Hyde plenty to consider. Life, friendships and relationships in his 40's, his then-10-year-old daughter and his band and experiences. What resulted was a record that leaves nothing unsaid. A howling, raw and powerful voice. Hyde says, "I was lucky that I had music to express what had happened to me - a lot of people don't have that. I was very lucky that we could make a record. I took the time to process it and turned it into something else." To celebrate the album release Beastwars are touring New Zealand and Australia in June/July - presented by Panhead Custom Ales. 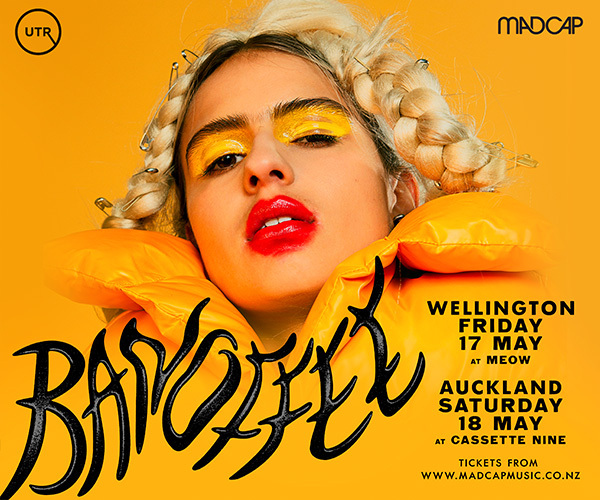 They are hitting Wellington, Auckland, Christchurch and Dunedin in New Zealand and then jumping over the Tasman to play Brisbane, Sydney and Melbourne shows. 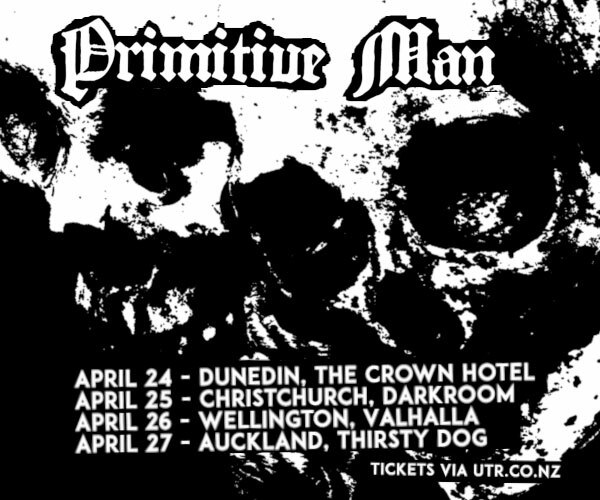 All shows minus Christchurch, Dunedin and Brisbane will feature Australia's Witchskull. Beastwars formed in Wellington in 2006. Their 2011 self-titled debut was nominated for Best New Zealand Rock Album at the New Zealand Music Awards, as were their second and third albums 2014's Blood Becomes Fire and 2016's The Death Of All Things. Beastwars and Blood Becomes Fire were also nominated for the Taite Music Prize. Beastwars' new album IV will be released on Friday June 28 and can be pre-ordered now at all good digital stores and streaming platforms at http://ffm.to/beastwarsIV and Limited Edition Vinyl, Cassette and T-Shirt Bundles are available at http://www.beastwars.bigcartel.com. Single Omens is available for streaming and purchase now.